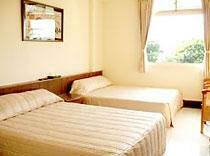 Slow motion B&B is located in Toushe Basin, Nantou. It is close to Sun Moon Lake. 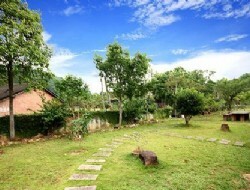 The hostel is situated in the unique landscape and offers comfortable accommodation. Hoti - Guest house Nantou Puli is loceted on Provincial Highway 6, makes it a nice start point to explore the beauty of Nantou. Guests may easily to reach Taomi Nature Protected Area, Puli Winery, and Hutou Mountain, enjoying a fabulous view of nature landscape and stress-free atmosphere. 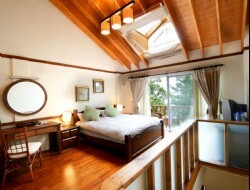 Tanhui Modern Hotel is a contemporary yet cozy hotel set next to Shuishe Pier of Sun Moon Lake, Nantou. Guests may enjoy a romantic boat tour that departs from the pier and appreciate the unspoiled natural beauties of this Taiwan renowned attraction. Tai Hu Hotel Sun Moon Lake is a comfortable hotel with ideal location and intimate facilities in Nantou, offering easy access to nearby attractions including Lalu Island and Sun Moon Lake. 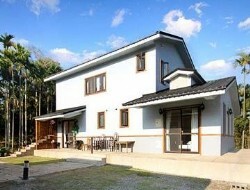 Cingjing Energy Vacation Village is a popular Cingjing accommodation close to Small Swiss Garden, Cingjing Farm and Mt. Hehuan in Nantou County for your Taiwan travel. Shangrila Hangling Garden Resort is located at CingJing Farm. This resort hotel is a fantastic place to escape the hustle and bustle of city life. 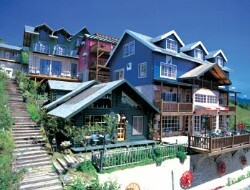 No.8, Rongguang Lane, Datong village, Renai Township, Nantou County, Taiwan, R.O.C. 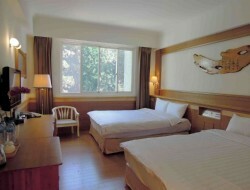 Ginkgo Hotel is close to Sitou Forest Recreation Park in Nantou and it has 72 elegantly designed guestrooms. Sun Moon Lake Einhan Resort is gracefully located in Sun Moon Lake Scenic Area of Nantou County, Taiwan, where one may simply access to Sun Moon Lake, Formosa Aboriginal Cultural Village, Wen Wu Temple and Sun Moon Lake Bike Trail for a wonderful Taiwan travel. Situated beside Formosan Aboriginal Culture Village, close to Sun Moon Lake, Crystal Resort offers greeneries and quality recreational facilities. 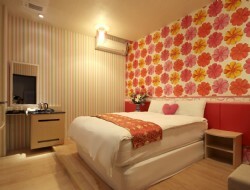 With over 109 rooms, Crystal Resort provides a comfortable and relaxing atmosphere.